Melissa has been living in Vancouver since 1984. She graduated from UBC with a double major in Economics and Asian Studies. She has travelled to many places and feels very fortunate to call beautiful Vancouver “my HOME”. 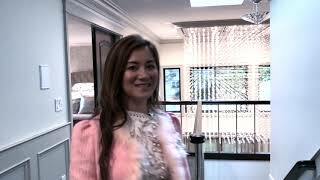 Since 1996, she has been involved in marketing townhouses, condominium and pre-sale projects. From 2003, her focus has been primarily on selling residential detached homes in Greater Vancouver. She has experience with over 1,000 real estate transactions and received numerous real estate sales awards. She has a strong sales record, and is a Member of the GVRB President's Club ~ Top 1% of all Vancouver Realtors on the GVRB (Greater Vancouver Real Estate Board). That meant she sells more houses than 99% of (approx.) 12,000 real estate agents on the Real Estate Board. Her active personality and negotiating skill can get top dollar for your property. She and her Professional Sales Team are fluent in English, Cantonese, Mandarin, and other languages, they can help you sell your home faster and for more money. She has a large number of qualified buyers, developers, new overseas immigrants for a wide variety of properties such as houses over 40 years old, mostly land-value properties, or brand new houses, in Vancouver west-side, Vancouver east-side, Richmond and Burnaby.